While depositing any amount up to €1000, you receive a 100% bonus. For example, if you make your first deposit of €1000, you will receive a bonus of €1000;. Regardless of the amount of generated rake, you will get 30% cashback in the room. Make your first deposit and get the amount of bonus equal to it, up to €1000. Don’t forget to enter one of the bonus codes while making your first deposit. You can find the bonus codes below! 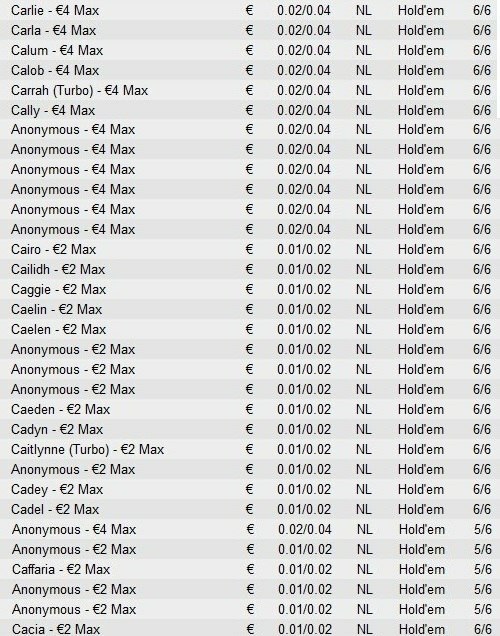 Freerolls for new players during 6 weeks after the first deposit. After making your first deposit, you will have an opportunity to participate in Freerolls with €1000 and €500 guaranteed funds with an insanely weak playing field. Reload bonuses give extra cashback. After registering at PokerAbility, you have an opportunity to get reload bonuses, once you claim the full value of you first deposit bonus. Reload bonuses give additional cashback and significantly increase your overall cashback in the room. Send a request for a reload bonus to our forum, and you will receive it at your account within 48 hours after making a deposit. BetSafe poker room belongs to Microgaming network, famous for its weak European players, both at micro and low stakes, and presence of expensive play with fish players at NL1000-NL5000. BadBeat Jackpot at cash tables! Every person who plays with PokerAbility tracking has an opportunity to take part in special freerolls with €20000 guaranteed funds! The more rake you generate during a month, the higher stack you will get at the beginning of the tournament. Tournament schedule is given in a special topic in the section BetSafe. Download a layout in the dedicated forum thread. The company BetSafe has been working in the market of gambling since January 2006. It is a part of Swedish group of Betsson companies which in addition to the company of the same name includes Triobet. Until 2012, BetSafe Poker was also a part of Ongame network, however, a crisis of the latest and several changes of ownership have led to the transition of BetSafe to Microgaming. 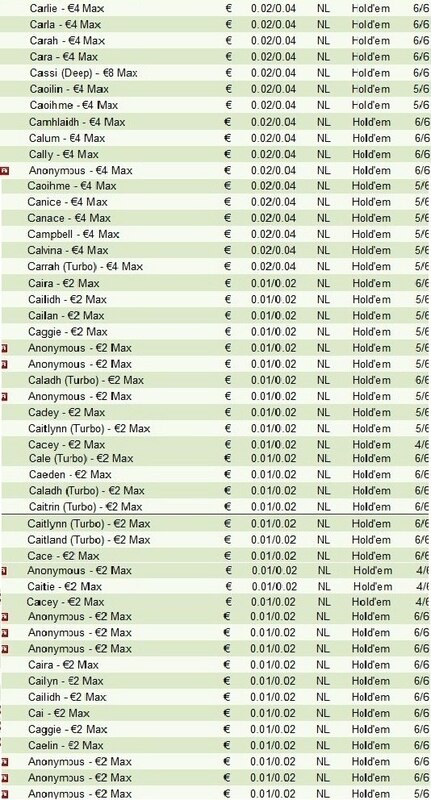 Furthermore, the ranks with Ongame were not broken and BetSafe Poker remained one of the first multi-rooms. But the next resale and rebranding of Ongame network forced BetSafe to leave this company in March 29 2016. 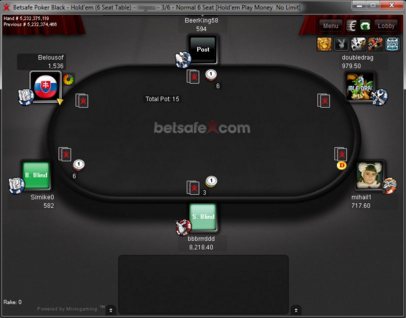 BetSafe Poker is the leading room of Microgaming network. In more recent times, it actively develops, increases its traffic and is among the Top-10 at the moment ranking the 8th place (below you can find detailed analysis of traffic). A number of measures undertaken in recent years such as establishment of anonymous tables, a system of achievements and rewards and the possibility to change a username enabled to engage and retain a great number of poor players. The rake rate is usually 5% but it is charged of 1 per cent each 20 cents of a pot. An “unclear” system of rake charge True Value was introduced in July 1 2012. A new system of rake charge is based on a formula which takes into consideration the sum of bet money, activity of a player and the ratio of benefits and losses. As well as putting money into the pot, there are also additional parameters. You can find the differences from other systems in a chain “network – operator (room) – affiliate”. A player thinks it is a common system and the rake is taken under weighted contributed. Since early March 2016, a rake in turbo and super-turbo SnG tournaments was lowered from 10% to 6-8% in BetSafe as well as in Microgaming. And it was increased in DONs that put paid to this format. A client soft was designed in black and red colors. It supports the work of trackers. You can buy mining in a network. Some defects of gaming table visual design may be lowered by free layouts. 1. Cashback in a poker-room. The calculation of Loyalty Points is carried automatically for 10 player points per each $1/€1 of a rake. The percent of cashback depends on your VIP-level which can be identified by a minimal number of points scored per month. According to BetSafe Poker Loyalty System, a maximum cashback is 30% but it is available to all players who make over $/€300 of rake per month. 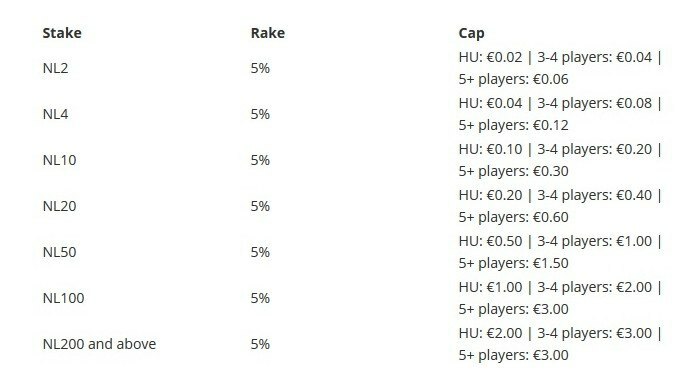 All players of PokerAbility will get 30% of cashback inside a room regardless of the amount of rake. You will get a bonus for the first purchase up to €1000. Its size depends on the size of purchase and is determined by bonus-code which you enter in a cash desk (it is better to enter your purchase via a room site). It is charged by parts as is clear from an image according to the set rake. This bonus is 20% of rake return. The validity period is 60 days. Bad Beat Progressive Jackpot is played at special tables from NL20 limit. Before sitting at the table, you should agree to participate in a draw and, therefore, to additional charge from each pot in favor of it prize fund. A hand of four deuces must loose and both pocket cards should take part in combination. 10.000 Monthly Sit n Go Challenge. This promotion is look like the Battle of the Planets. 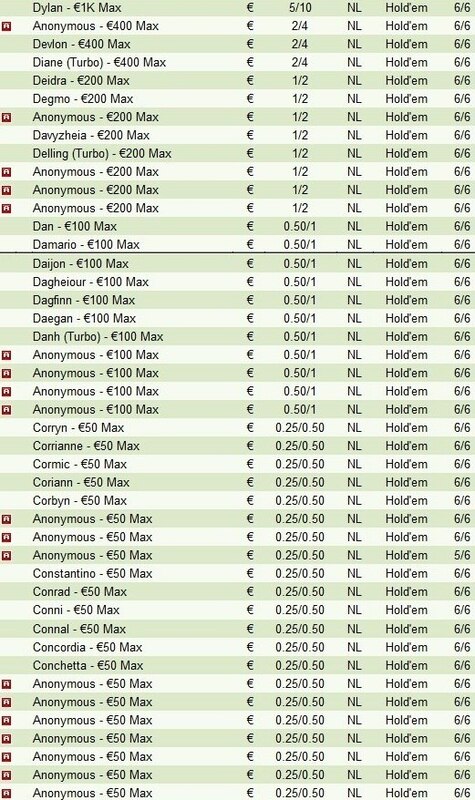 You should play the best cycle of 10 SnG tournaments within one month. 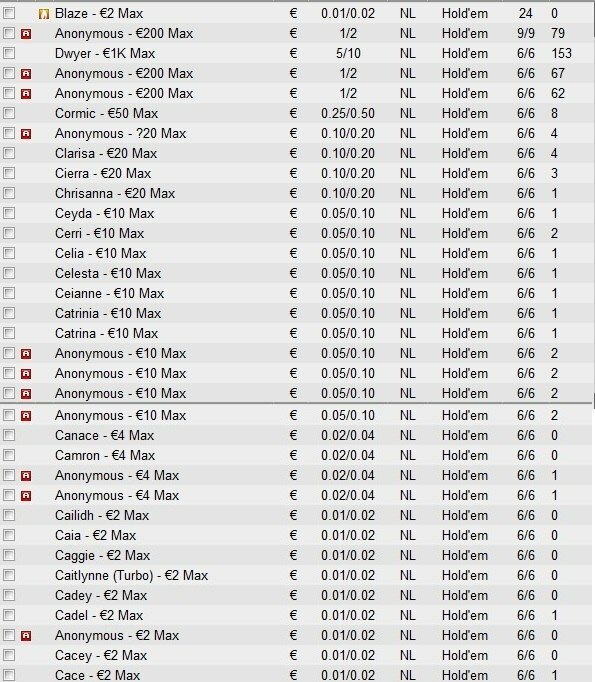 The prize races are divided into levels under SnG buy-ins: up to €5, from €5 to €9.9, from €10 to €29.9 and from €30 and higher. After receiving a prize you will also get some ranking points. Only SnGs marked with “P” in a poker client participate in a promotion. Hands-up and DON SnG are not taken into account. It is obligatory to register in a promotion. Enter your account (My Account) in the top menu of a client – SnG Challenge and press the button Opt in. You can register only once. You can find the current promotion leaderboard in “My Account” – SnG Challenge. The amount of set tournaments is not so important. The best SnG will be counted. - An excellent traffic in cash games the whole day during a week. - A good cashback with a bonus for the first purchase which gives 30% of rake return (BetSafe Poker constantly organizes promotions that increase the percent of returns for players who have set a bonus for the first purchase). - A poor ground of players and availability of anonymous tables. - Quite good soft that supports trackers with customization. Follow our instructions and you need not enter any promo-code. BetSafe Poker supports all modern payment systems except Kiwi and Webmoney. A process of payment is effectively handled if your account is verified. The output terms depend on a payment system you use and last from several hours on Skrill to a week on a plastic card.